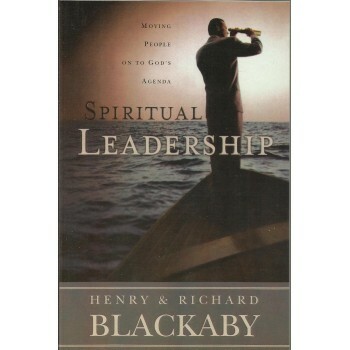 Next to their Experiencing God classic, Spiritual Leadership is one of Henry and Richard Blackaby's most highly regarded and best-selling books to date, encouraging business and church leaders alike to follow God's biblical design for success. In fact, the Barna Group reports that pastors list it among today's most influential writings on the topic of how God develops, guides, and empowers spiritual leaders. In this new trade paper edition of Spiritual Leadership, the Blackabys update their notes on the key points regarding a leader’s challenges, character qualities, influence, decision making techniques, and more, all the while focusing on how leaders discover and promote God's vision for their organization and move people on to His agenda. There are also new chapters on leading change and leading teams.